When Britt isn’t interviewing industry leaders and experts on his podcast, Lawncare Leaders, he is busy running his lawn care business, Green Again Lawns. Britt relies on Jobber to keep him organized and running his day to day operations. Here are a few of his favorite Jobber features. With the Jobber app, your team is always going to be in the right location with the right information. Crews will be able to see their daily schedule, get directions to their next job. When they get to the job they will see all the visit details, add notes or pictures, and complete the visit. Work requests are a great way to help get more customers, you can put a button right on your Facebook page or website and start collecting leads. 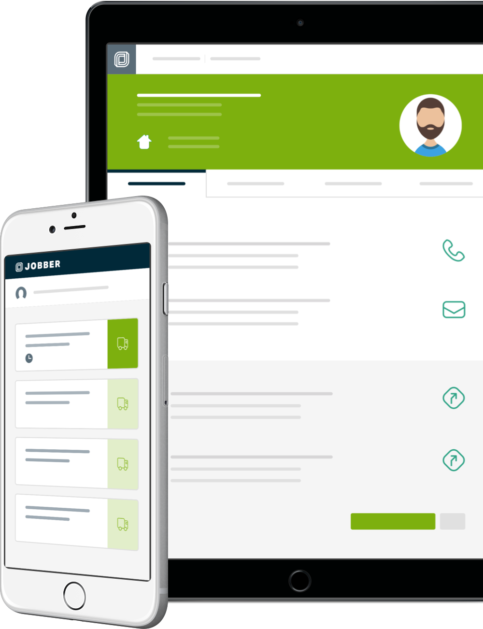 Jobber is built to help you give a better customer service experience to your customers, all your client's information is kept together. When they send in a work request, all the information links to the quote or job you make from it.